CAON ARREDAThe strength of the material, the dynamic lines and shapes, and the refined simplicity of the product make Caon Arreda. The essence of Caon Furnish is expressed in a process of simplification in which the refined experience of working with wood meets design. Present at the MoMA in New York and at the Milan Triennale, Caon is the perfect synthesis of tradition and innovation.Caon Furnish is a furnishing design production, in particular it is a partnership, which hopefully lasts between two different entities: on the one hand Caon Nibe, an artisan company located in the province of Udine, and another top very important industrial designer, above which stands Luciano Bertoncini. For decades, the family Caon deals with the processing of wood for the production of hom furniture and accessories of high quality, using only natural materials and precious woods. Luciano Bertoncini is a great Italian designer, who over the years has worked for Aprilia, Bellato, Kristalia and many other design companies. 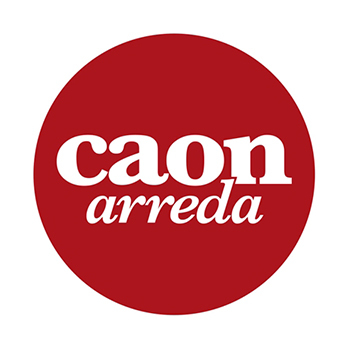 The union of two different worlds gave birth to Caon Arreda, a company that manufactures exclusive furnishings made completely from wood products. From the collection of Caon Arreda the clear evident desire, which is almost a need, is to highlight the great respect for the craftsman who work with wood. Thus chairs, stools and tables of various sizes were born, where the raw material seems to dictate the shape of the design object. All products by Caon Arreda are made from pure wood, colored with delicate tones or just polished, so as to enhance the texture of the grain. All items produced by Caon Arreda are designed by the genius of the design studio Luciano Bertoncini. The result is a collection that has a few pieces, all with their own personal soul but which perfectly matches the others. The designer Luciano Bertoncini and the expertise of the best artisans make Caon Arreda products very contemporary, yet classic: chairs and tables on which the passage of time will never rest. This is just what happens to large design projects: even when it comes to objects produced in the past, their appearance fits perfectly into any decor style, glorifying it. The Caon Design products are suitable for furnishing the entire house. The strength of the material, the dynamic lines and shapes, and the refined simplicity of the product make Caon Arreda. The essence of Caon Furnish is expressed in a process of simplification in which the refined experience of working with wood meets design. Present at the MoMA in New York and at the Milan Triennale, Caon is the perfect synthesis of tradition and innovation. Caon Furnish is a furnishing design production, in particular it is a partnership, which hopefully lasts between two different entities: on the one hand Caon Nibe, an artisan company located in the province of Udine, and another top very important industrial designer, above which stands Luciano Bertoncini. For decades, the family Caon deals with the processing of wood for the production of hom furniture and accessories of high quality, using only natural materials and precious woods. Luciano Bertoncini is a great Italian designer, who over the years has worked for Aprilia, Bellato, Kristalia and many other design companies. The union of two different worlds gave birth to Caon Arreda, a company that manufactures exclusive furnishings made completely from wood products. From the collection of Caon Arreda the clear evident desire, which is almost a need, is to highlight the great respect for the craftsman who work with wood. Thus chairs, stools and tables of various sizes were born, where the raw material seems to dictate the shape of the design object. All products by Caon Arreda are made from pure wood, colored with delicate tones or just polished, so as to enhance the texture of the grain. All items produced by Caon Arreda are designed by the genius of the design studio Luciano Bertoncini. The result is a collection that has a few pieces, all with their own personal soul but which perfectly matches the others. The designer Luciano Bertoncini and the expertise of the best artisans make Caon Arreda products very contemporary, yet classic: chairs and tables on which the passage of time will never rest. This is just what happens to large design projects: even when it comes to objects produced in the past, their appearance fits perfectly into any decor style, glorifying it. The Caon Design products are suitable for furnishing the entire house.